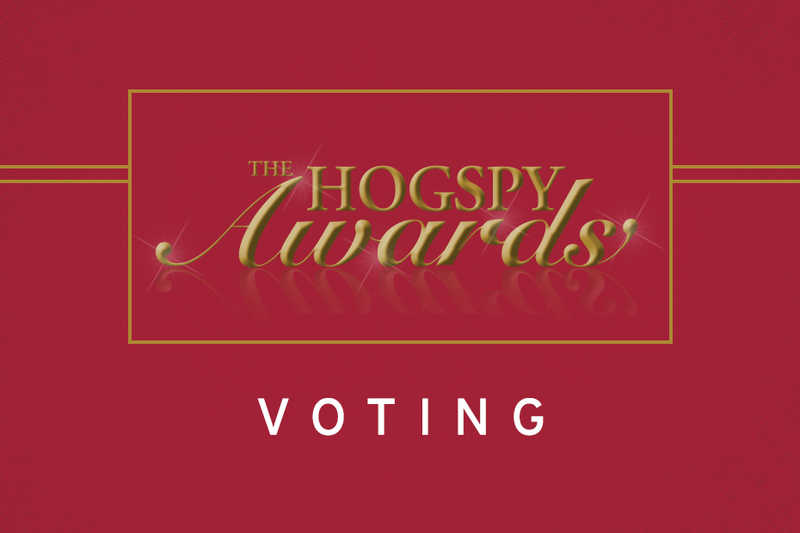 How to vote: Use the Razorback red up arrows to vote on the play you think should advance in the bracket. You can only vote once. In the 53rd minute of the SEC Tournament Quarterfinals against top-seed South Carolina, Tori Cannata found herself in the right place at the right time after a deflection from Kayla McKeon in the middle of the box to fire home her first goal of the year to help defeat the Gamecocks, 1-0. It was her second goal of her career and first game winner. The play built off a shot from freshman Taylor Malham just inside the 18-yard box, one of three shots in the match for Arkansas. After the goal, the defense withstood a South Carolina onslaught of 20 shots, four that were on target. Redshirt junior goalkeeper Jordan Harris came up with three saves in the match, notching her seventh win of the year. It was Arkansas’ 10th shutout of the campaign, tying the school record for the most clean sheets in a single season (2009). It was also the first win over South Carolina since 2005 and just the fourth win over the Gamecocks in the all-time series dating back to 1995. Razorback 4-x-400-meter relay team of Rhayko Schwartz, Eric Janise, Ejiakuekwu and Obi Igbokwe were Arkansas’ final bastions of the national meet. Leading off out of lane two, Schwartz worked double-time in an attempt to make up the stagger on SEC rivals Alabama, Texas A&M, Florida and Auburn. Senior quarter-miler Janise took on the baton as the second leg, picking off additional programs and positioning Arkansas well to contend for gold. Ejiakuekwu managed to clock an impressive sub-46 second split to keep the Razorbacks in the mix but Igbokwe’s 44.59-second lap highlighted the event and solidified Arkansas’ claim to a team podium finish. Their time of 3:01.84 broke the 17-year old program record formerly held by All-Americans Melvin Lister, Sam Glover, Ryan Stanley and Kevin Baker.